From busted bathrooms to contaminated kitchens, nothing turns a dream house into a glum home like a bad contractor. Spike TV’s “Catch a Contractor,” which just wrapped its first season, is a reality show that aims to help families fix unfinished projects that shady contractors left behind. 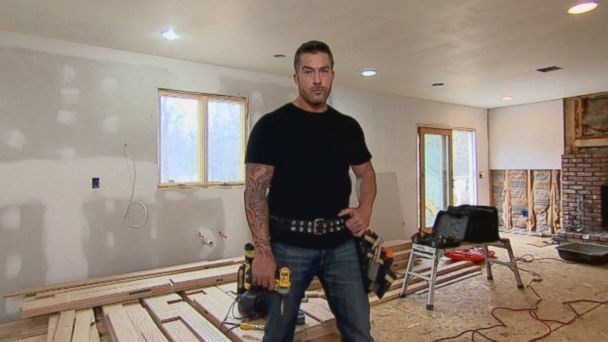 Hosts Adam Carolla and Skip Bedell make it their mission to track down, confront and shame those who are responsible for wretched renovations. Bedell, a licensed home remodeling contractor with 14 years of experience, told “20/20” that people need to make sure they know who they’re dealing with when it comes to hiring contractors. Bedell offered his tips for selecting a contractor that won’t leave you (and your home) in the dust. Checking to make sure your contractor has the appropriate license and paperwork to do the job you hired him to do is the most important thing, Bedell said. “You want to make sure that, number one, you’re dealing with a licensed professional person that has an established business,” he said. If the contractor is licensed and something goes wrong, Bedell said, you can complain to the Consumer Affairs Department or the city licensing bureau. You can also have an inspector come out to make sure the work is correct if there’s an issue. But if you hired a contractor who wasn’t licensed and the job goes south, Bedell said, your only option might be to file a civil lawsuit on your own. Bedell said when people hire a contractor, they should make sure they can trust this person. “They [should] look into as much as they can about the background of this person before they make a decision,” he said. You want to find out how hands-on the contractor you’re hiring will be, Bedell said, so it’s important to ask him questions about how he works. “You want to ask him, is he going to be on the job every day,” he said. “Is this a person that’s just a salesperson or is he actually a hands-on guy with tool that’s going to be there running this crew? As with hiring anyone for a job, Bedell said you want to make sure the contractor you’re considering comes with referrals and recommendations. Bedell recommends always getting at least three estimates from different contractors for the work, but cautions that the cheapest price is not always the best price. PreviousPrevious post:Skip Bedell on FOX & Friends, DIY Tools!NextNext post:Skip Bedell on FOX News FOX & Friends Live, Hiring Contractors!